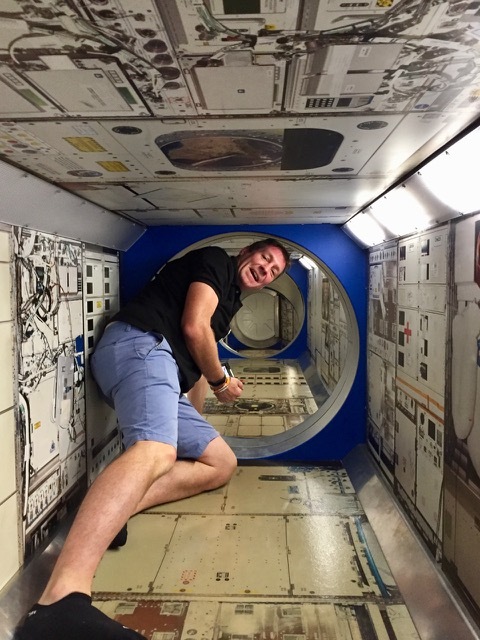 When I was growing up, pretty much every child wanted to be an astronaut. 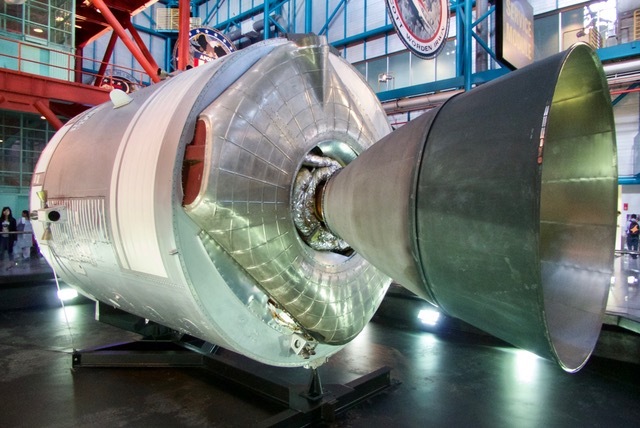 But, with the winding down of the American Space Programme since the last Space Shuttle mission in 2011, the concept of space exploration seems to have lost its hold on the public imagination. But, if you wanted to re-ignite anyone's interest in Space, you just have to send them to the fantastic Kennedy Space Center in Florida – a place that combines being an education centre, a high-tech theme park, and a literally space age working facility. Witnessing all these different facets in one place made for an inspiring day, where we marvelled at the skill, the bravery, the ingenuity, the technology, and the sheer daring to put man into space. The people behind the Visitors Centre have clearly learnt a lot from the other Orlando theme parks like Disney World and Universal Studios – the whole place resounds to a stirring background theme tune that was a cross between Apollo 13 and Star Wars, while the slick films use state of the art technology to bring the wonders of space travel and rocket science to life, and the passionate voiceovers draw you into the excitement of the space race. 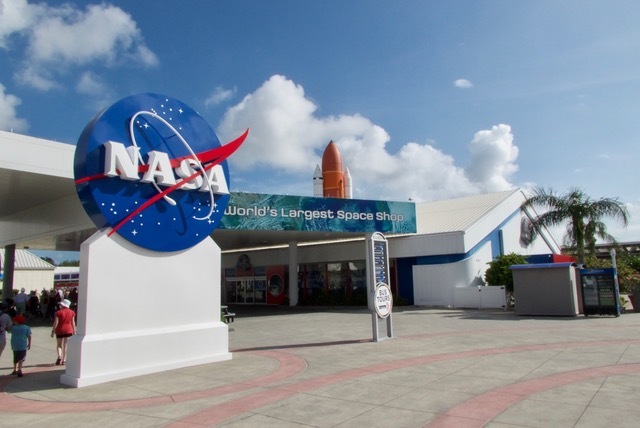 But, behind all the impressive gimmicks and staging, what impresses most is the hardware itself – we walked around the Space Shuttle Atlantis, its bodywork scarred by millions of miles of space travel. Just the small details were fascinating – like its super-light tiles that could resist temperatures of over 2,000 degrees centigrade (mind you, some of them cost up to $1million each). To create re-usable technology like this was truly ground-breaking. 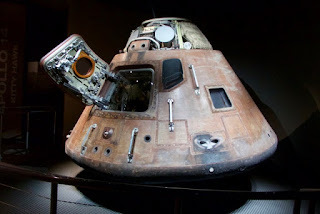 We visited the Heroes and Legends exhibition, where we saw that it really did take the Right Stuff to be one of the early astronauts – you needed an incredible brain and enormous skill, but also a level of bravery that bordered on the reckless. The massive achievements of these people make you feel small by comparison. One of the highlights was a talk by an astronaut while we had lunch – in this case it was Space Shuttle astronaut, Bruce Melnick. His talk had just the right amount of detail – telling us about the incredible training and skills required, but also filling us in on the mundane details that everyone wants to know about, but is too ashamed to ask – what the food was like, how did they go to the toilet? Then we drove around the Kennedy site to see the various launch pads. If the morning had felt like we were visiting a remnant of a glorious past, it was good to be reminded that Kennedy is still working site, and that the space programme is still an ongoing process. Manned missions may be on hold for the time being (although the goal is a mission to Mars in the next decade or so), but rockets are still being launched on a regular basis – in fact, we saw the SpaceX rocket being readied for its launch tomorrow. 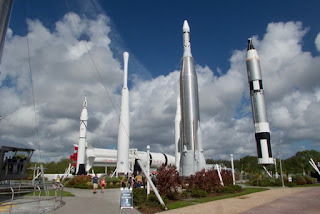 Finally, we went to the Saturn V exhibit, which detailed the amazing achievements of the Apollo Moon Landings. Aside from the sheer size of the enormous Saturn V rocket that we walked underneath, it was hard to get your head around what was achieved, given the limited technology of the day. To achieve all this with such rudimentary computing was incredible. The whole day was a great combination of entertainment and education, presented in an incredibly slick way that just about avoided being cheesy. Whenever the voiceover threatened to head towards hyperbole, it was the incredible achievements and bravery of the NASA astronauts and technicians carried you along. 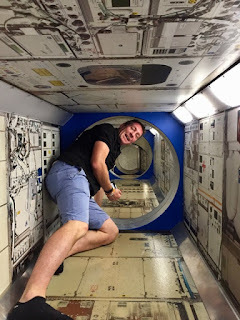 If only I weren't too old, too cowardly, and too inept, I might start to dream to be an astronaut again.